Coming up with different toast toppings for Isabella has been a constantly struggle with so many typical toppings laden with sugar and/or salt. Like a lot of parents we've decided to continue to seriously limit the amount of sugar Isabella has in her diet, despite her best efforts to have all the sugary treats. Jam is a typical (and tasty!) condiment or toast topper, but it's mainly made up of refined sugar. 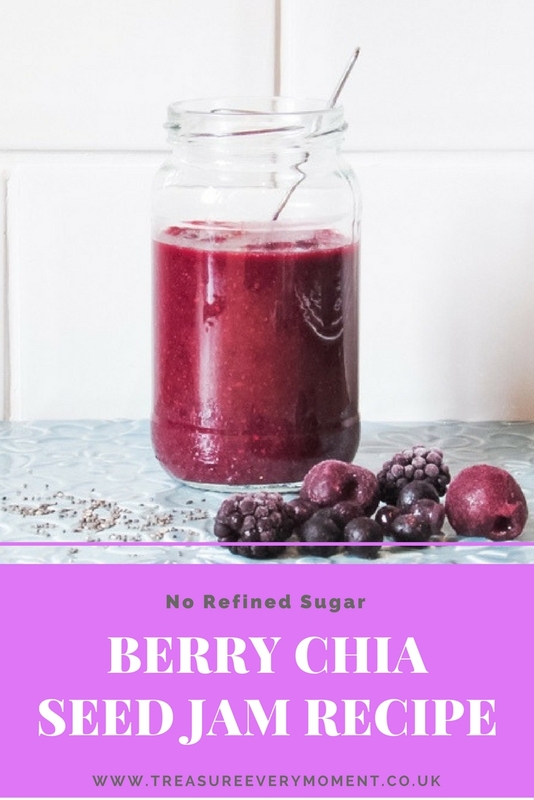 This Berry Chia Seed Jam is seriously easy to make, extremely versatile and ideal for anyone who wants to avoid/reduce their sugar intake. 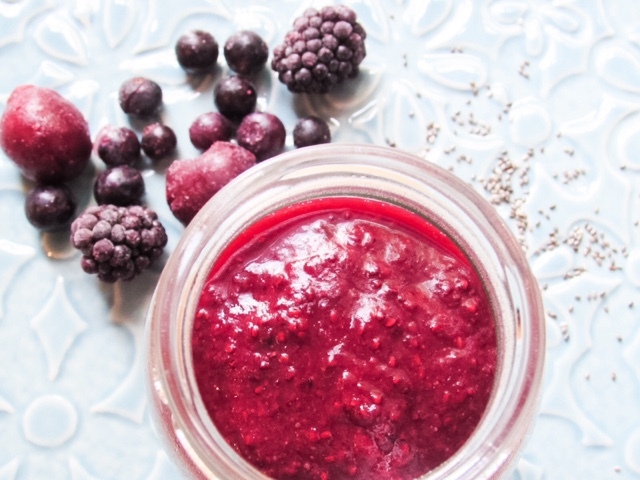 1) Blend the frozen berries with the splash of water to create a smooth paste. 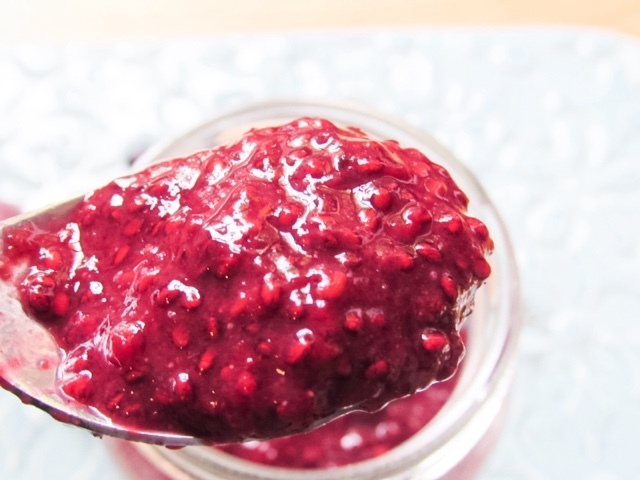 2) Pour the berry paste into a saucepan over a medium heat, add the vanilla extract and Sweet Freedom Syrup. Bring to the boil and simmer until slightly reduced, it shouldn't be too runny. 3) Remove from the heat and leave to cool for 10 minutes. Stir in the chia seeds. 4) Sterilise a jam jar by pouring boiling water into it and leaving it to cool. 5) Pour the jam into the jam jar and leave to cool completely. 6) Serve in homemade rice pudding, on toast, use in baking etc. 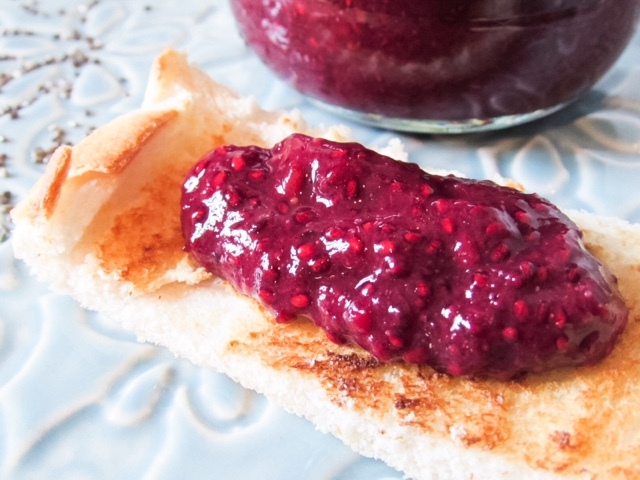 Have you tried a refined sugar free jam? This looks lush, thanks for sharing! Oh wow. Not tried making anything like that before, that looks delicious.